Overberg fire chief Reinhardt Geldenhuys updates CapeTalk host Jeremy van Wyk about the situation in the Overberg area and status on the fire. CapeTalk's Kieno Kammies speaks to Professor Enzo Palombo at the Department of Chemistry and Biotechnology at the Swinburne University of Technology in Australia gives us the do's and don’ts when it comes to leftovers. CapeTalk's Kieno Kammies interviewed Junaid Hamid, editor of Race Web Online Magazine, about street racing in Cape Town. Western Cape Transport MEC Donald Grant says the provincial department is looking at new laws that will soon come into effect to reduce incidents of street racing and life-threatening speeding. 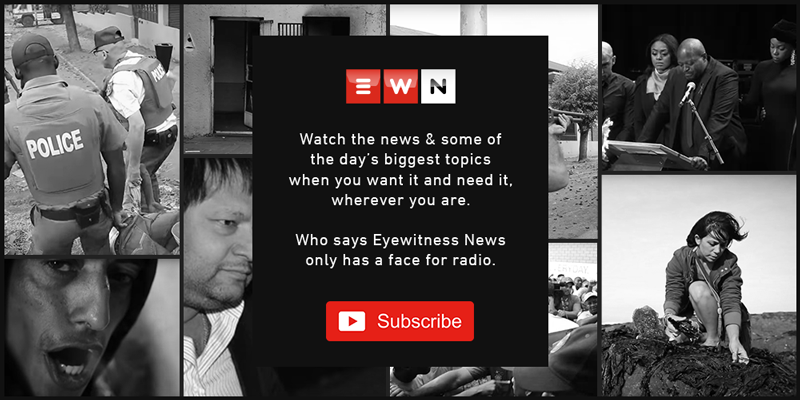 This follows an incident in the Eastern Cape, where allegations of learner segregation at King Edward High School were revealed. Research has shown that companies are always on the lookout for employees who possess both hard and soft skills. The Department of Labour addresses concerns around the Minimum Wage Act and says employers that fail to comply will face penalties. Here are some tips to make your home more fire resistant. CapeTalk’s Kieno Kammies speaks to Post Office CEO Mark Barnes about the allegations emanating from Angelo Agrizzi’s testimony. Jasmine Opperman, the Africa director for the Terrorism, Research and Analysis Consortium says this attack by al-Shabaab was a message that they oppose the US policy in Israel. Kieno Kammies speaks to Maarten Ackerman, chief economist at Citadel, who presents two scenarios that could emerge from the Nersa tariff application hearings. Daniel Wesangula, a journalist at the 'Sunday Standard' paper in Kenya, describes the terrorist attack on a Nairobi hotel that left 14 people dead. Professor Jonathan Jansen says while there are still educators who believe that segregating learners under the belief that it makes 'perfect educational sense', there is no research to back up the belief. Socio-Economic Rights Institute of South Africa (Seri) researcher Lwazi Mtshigo explains how land expropriation without compensation will affect urban housing. CapeTalk’s Kieno Kammies speaks to Discovery Health's Dr Ryan Noach about the policy changes and how they affect patients and doctors. Policing expert Eldred De Klerk says those who have money can pay for the illusion of security. CapeTalk's Africa Melane chats property with Knight Frank development manager GT Stander and how young people can get their foot in the property market. Speaking to Africa Melane, Sipho Ngwema, head of communications at the Competition Commission, said school uniforms should be obtainable in as many suppliers as possible.